You all know I'm a brow fanatic. Recently I got to test out Senna's Sketch-A-Brow pencil and I was definitely impressed. 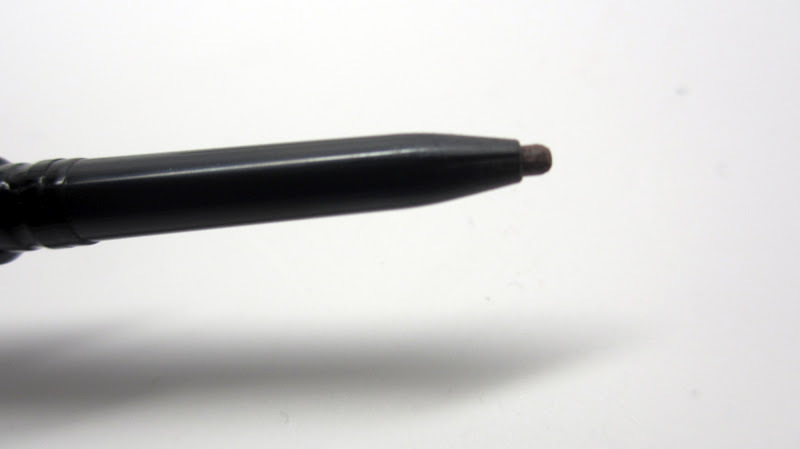 A brow pencil like this really takes your brows from drab to fab - the right eyebrows for your face shape can really make or break your look. Senna is known for their brow products and once again they did not disappoint! First off, I'm a fan of retractable brow pencils, especially ones with a thin lead like this one. They just make your life easier not having to worry about sharpening the pencil. 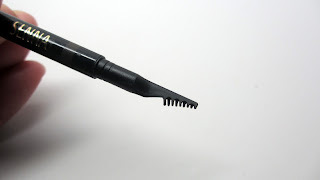 Here is a shot of the tip of the pencil...the product is very thin so you can get tiny hair-like strokes. On other other end of this pencil comes a teeny tiny brow comb - never seen anything like it! You can use this to comb through your hairs before or after. Swatches - the color can be very light or buildable. Dark Taupe is an awesome universal brow color. It works for my darker hair and I think it would've still worked if my hair still had the caramel highlights. Next time I might give the darkest color Mink a shot. This pencil is pretty great. It deposits the perfect amount of color - not too little and not too much, justttt rightttt. The little comb works well and I've never seen anything like it before - however I still prefer a mini-spoolie on the end of my brow brush. Senna is known for their brow products so I'm not surprised at the overall amazing-ness of this product. 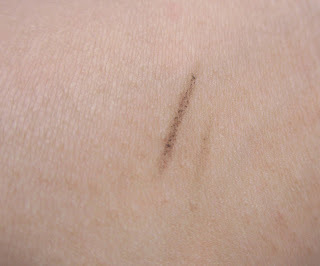 I think this product gives my HG Tarte EmphasEyes Brow Pencil some steep competition. I'll try using this pencil in some upcoming tutorials so you can see it live. 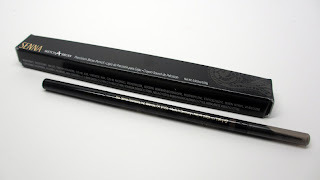 The Sketch-A-Brow pencil retails for $18 on www.SennaCosmetics.com. It comes in four shades - neutral blond, Light Taupe, Dark Taupe, and Mink. this looks really nice! great review! Having a well groomed eyebrow is an absolute necessity because that helps to bring attention to the eyes and serves to be a frame for the total face contour. To get that kind of eyebrows, this post is so beneficial. Thanks for sharing.